Free online stitches knitting patterns, easy to knit stitch pattern, knitting patterns for use in multiple knitting projects. 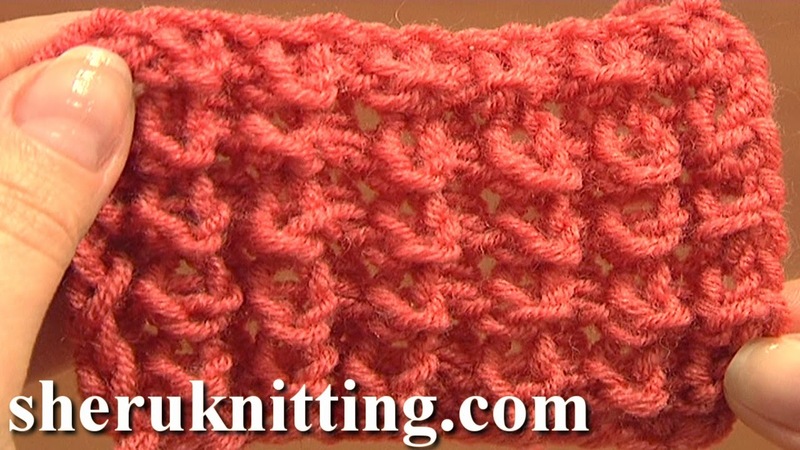 This easy to knit stitch pattern is a simple 2 stitch and 4 row repeat pattern. The knots or bumps appear on the wrong side and the right side looks like the 1 by 1 ribbing. Thanks for watching and happy knitting! Titch was made of yarn 55% Cotton, 45% Poly Acryli, 160m/50g, Steel Crochet Hook 2.25mm (which﻿ is #2 US standard).